Figures presented to parliament today by the Governor of the Central Bank of Cyprus reveal that there is a shortfall of almost €15 billion in the value of collateral offered to secure loans. INFORMATION tabled in parliament today reveals details of the size of the problem with the balance sheets of the Cypriot banks. Speaking at the House Institution Committee today the Governor of the Cyprus Central Bank Chrystalla Georghadji disclosed that €14.8 billion of total loans amounting to €60 billion are not covered by collateral. Small & medium sized enterprises (SME) in the retail sector – €1.1 billion. Large companies – €2.3 billion. Individual (housing loans) – €0.5 billion. Individual (consumer loans) – €928 million. The Governor assured MPs that the banks have made provisions to cover the gap noting that “We are slightly relieved from the fact that the provisions made by the banks in regard to non-performing loans, cover the amount for which there is no collateral”. Banks have made provisions of €10.8 billion for non-performing loans, which amount to €29.2 billion in total. @Carol on 2015/01/23 at 7:46 pm – If the bank lent money to your developer without any form of collateral the liquidator should not be pursuing you to repay the company’s debts. I assume you’ve had a Title Search carried out by the Land Registry to check that the land on which the property you purchased was was built was not used as collateral? Our developer has gone into liquidation, he has guarantors who have no monies, the bank lend without collateral and the liquidator wants us to pay his debts do you think the banks have allowed for this. 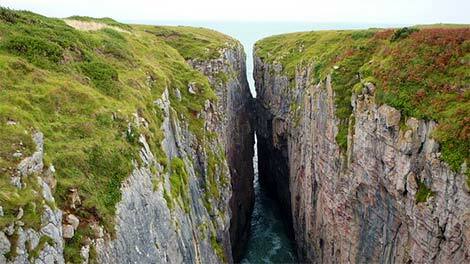 More like a massive chasm! And that money is coming from?